“I am a camera with its shutter open, quite passive, recording, not thinking. Recording the man shaving at the window opposite and the woman in the kimono washing her hair. Some day, all this will have to be developed, carefully printed, fixed.” So wrote Christopher Isherwood in his novel Goodbye to Berlin. “I am a camera,” the critical independent clause, became one of the most famous sentences in twentieth-century literature. It also served as the title for both the play and the film versions of Goodbye to Berlin, upon which the musical Cabaret is based in turn. But I am interested in this clause because Isherwood’s narrator declares that he inhabits both the stance of a subjective agent—an “I”—and an objective one, the camera or “eye,” at the same time. With my first book, Dogtown, I eventually found myself wanting to do the same. But I had no idea how to pull this off. I didn’t start out with this ambition. Initially, I wanted to be all camera. In fact, I had wanted to become a photographer but somewhere along the way fell under the sway of nonfiction literature, which won me over for a documentary power that is complementary to, but distinct from, that of photography. And the camera that appealed to me was different from Isherwood’s “quite passive, recording, not thinking” one. I wanted to be active and critically engaged while still mostly hovering in the background. I believed this was what my subject demanded of me, but it was also what suited my temperament best. My subject was an abandoned colonial landscape in Massachusetts called Dogtown that painter Marsden Hartley had compared to Easter Island and Stonehenge. I fell into writing about it because of Hartley’s paintings of the area. When Gertrude Stein saw Hartley’s work for the first time, she declared, “At last an original American.” And when I saw Hartley’s Dogtown landscapes, with their rocks like gargantuan cheese cubes, giant chewed fingernails, and a whale rising from the earth, I thought, At last an original American setting. As Isherwood had done with Berlin and Hartley with his paintings, I wanted to create a portrait of a place. Dogtown, which is not far from Salem, Massachusetts, is known locally for its peculiar tales of colonists experiencing collective hallucinations, its supernatural events, and its post-Revolutionary War population of witches. Today it is an unpopulated wilderness, a ghost town. It should, then, come as no surprise that some people believed it to be haunted. As I explored the subject, I was finding more superstition than fact in my research about this place. Though I knew these beliefs were part of the story—if not the story itself—like an early photographer trying to take pictures of a ghost, I also wanted to let Dogtown speak for itself. The story I began to write recounted my journey, starting with how Hartley’s paintings had led me to Dogtown. From there, I wanted to step back and let the place itself take center stage. But I was immediately challenged by trying to include all of these spirited tales about the traveler (me), Hartley, the colonists, the witches, supernatural events, and more. I found it impossible to gather up all of my disparate threads without tangles. My readers, who at the time were my fellow graduate students, all repeatedly asked, “What’s in Dogtown for you, Elyssa?” This question is often asked of writers, especially of writing students by their peers—and it tends toward the confessional, which is partly why I resisted it. I didn’t want to intrude or impose myself upon my subject. What I found in Dogtown was the place itself, which fascinated me as though I had walked through a wardrobe and landed in Narnia. One of the writers whom I emulated at the time, attempting to model my efforts after his work, was Joseph Mitchell. If the narrator’s subjective and objective stances appear at opposite ends of the spectrum, Mitchell’s work represents the most extreme “eye.” Part of the excitement of reading his 1940 profile of Mazie, the “bossy, yellow-haired blonde” ticket collector at the Venice, “a small, seedy moving-picture theater” on the Bowery in New York City, is in deciphering how Mitchell’s eye—his alleged objectivity—reveals who he is. We learn highly particular details about the theater, whose principal clientele consists of “bums,” and even more when Mazie says, “Nobody ever got loused up in the Venice.” (Here, “loused up” is literal.) Mitchell’s selection of dialogue captures Mazie and her era perfectly. In this same paragraph, Mitchell goes on to describe Mazie as being in “an elegant mood” and boasting “that she never admits intoxicated persons.” This juxtaposition of an “elegant mood” with “intoxicated persons” and lice reveals both Mazie and Mitchell to us. There is plenty of “I” here, or plenty for me, because Mitchell’s self is revealed by the subjects upon which he trains his gaze—Mazie, Mohawk “skywalker” construction workers, a bearded lady, even New York City’s rats—as well as by his choice of juxtapositions and his particularizing impulses. Mitchell’s narrator still largely disappears behind his subjects, but traces of his presence are palpable in the same way that the shadow of a photographer can sometimes be visible in a photograph. It’s worth noting that Isherwood’s Goodbye to Berlin was published in 1939, a year before Mazie appeared in the New Yorker. This proximity is not insignificant, for these dates also parallel the rise of street photography and its emphasis on depicting everyday urban lives. It was much harder than I had thought to be a camera or “eye” capturing the diaphanous image of a ghost town and the everyday Massachusetts lives that would come to intersect it. In literature, a character must have agency and desire, and though I would argue that a landscape does possess these qualities, they are best dramatized through human agents. In Dogtown, I found my Mazies, but I wanted them to be secondary to the place itself. With a cast of historic and present-day characters, I now had even more material than before. I also wanted to be considerate of my readers by somehow addressing the question of what was in Dogtown for me. I had no idea how to assemble this puzzle, but my gut still told me that my place was in the shadows, where I could be an “eye” like Mitchell. When I learned that a woman had been murdered in Dogtown and that some people believed the place had influenced her killer, the idea of lurking in the shadows turned haunting. It also presented a new challenge of figuring out how to include this tragic event in my book. I knew that the amount of subjectivity, or the degree to which I allowed my personal story to creep into the book, would remain limited because no drama in my life came anywhere near this horrific murder and its aftermath. Nor did any of my travails compare to the crippling physical challenges, poverty, emotional losses, and prejudices the Dogtowners faced. But every single-lens reflex camera contains a small mirror in its dark interior. I was only able to be an “I” and an “eye” when I looked into Dogtown and saw my own losses reflected back to me. At the time that I was writing, the September 11terrorist attacks had just happened, and six members of my family had died in less than a year. Dogtown is a haunted place that attracts haunted people, and I, in my own modest way, had joined its ranks. Though I was now more of a presence in the narrative, I still needed a way to weave all of this together into a book, not just a collection of historical tales. I decided to structure the book into chapters that alternated between the murder and stories of Dogtown’s past. While this worked, the result was inelegant because these historical chapters did in fact have some bearing upon the present day, particularly with regard to how people felt about the murder. A solution came to me from another visual medium: painting. There is a portrait tradition of painting an individual in front of a curtain that opens onto a landscape where various scenes, often biblical or historical, are depicted in the background. The portrait subject serves as commentator on the background scene and vice-versa. I positioned my narrator in these historical chapters by using a similar framing device. I came in at the beginning of each chapter to frame it around my own musings and concerns as they related to the chapter material and the central, driving question that linked the murder to all this history: how much can a place influence someone? I then stepped aside to allow these individual histories to take center stage. At the chapter’s end, I returned to link this material to what was happening next. In this way, my narrator became the constant thread that connected all the stories, while the stories, in turn, provided commentary on my search for an answer regarding Dogtown’s mysteries. Elyssa East’s first book, Dogtown: Death and Enchantment in a New England Ghost Town, won the 2010 L. L. Winship/P.E.N. New England Award in Nonfiction. Dogtown was also a finalist for the Massachusetts Book Awards and an Editors’ Choice Selection of the New York Times Sunday Book Review. 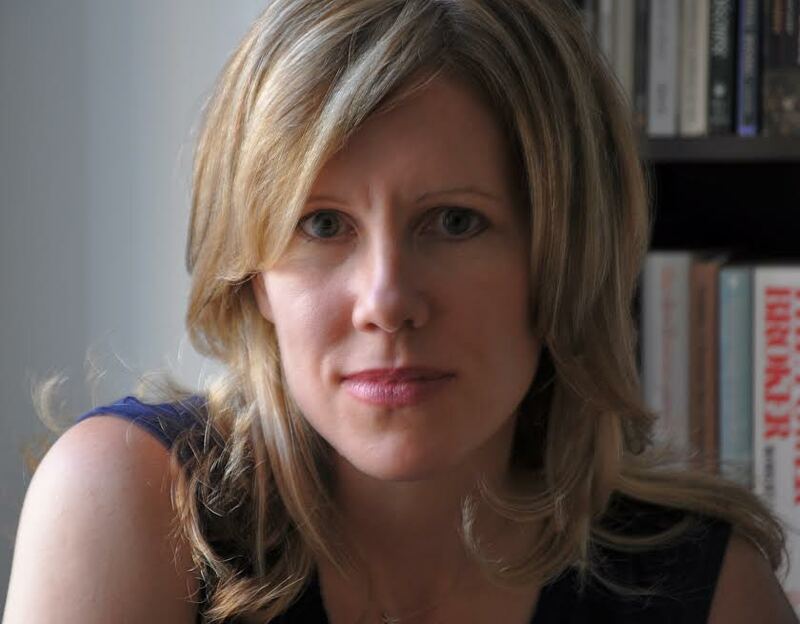 Elyssa has received fellowships from the Jerome, Ragdale, and Ludwig Vogelstein Foundations; Columbia University; the University of Connecticut; the Bread Loaf Writers’ Conference; the Phillips Library; and the Corporation of Yaddo. Her reviews, reportage, and essays have appeared in The New York Times, The San Francisco Chronicle, The Boston Globe, The Dallas Morning News, The Kansas City Star, The Philadelphia Inquirer, and Al Jazeera America.